Our mum-to-be Madrid blogger, Louise, gives her low-down on preparing your birth plan to get ready for baby's arrival. Most mums-to-be have absolutely no idea about birth plans or how to go about preparing for the big day when you will welcome your new baby into the world. At the Hospital de Torrejón where I gave birth, there was a birth plan available on their website that you could fill out, then email back to them so they have a copy when baby arrives (one less thing to worry about!) I downloaded the plan, read through it a few times, and realised that although I knew what kind of pain relief and support I wanted from the hospital, I just had no plan for my husband and I! It’s one thing to feel safe in the hands of a professional once you reach the hospital, but it’s another thing to know what you’re doing yourself before you get there. I got in touch with Belen from ‘Bel and Mums’ to arrange a birth plan consultation over Skype. She’s a Spanish midwife who works between Madrid and London. Although I do speak Spanish, it was lovely to be able to discuss any worries or doubts with her in English. We had done a Paediatric First Aid Course with her in the past, so we felt more confident than we would have been speaking to a complete stranger. Make sure to have everything to hand: even down to things like Aquarius! Make sure you know the birth plan inside and out and can explain it – your mum-to-be will not be in a fit state to clarify things once it gets going! Basically, I was to focus on baby and the contractions, and dad would look after me. My husband was more concerned than I was about knowing when to go to the hospital, and how to be sure that everything was running smoothly. Belen spoke to us about timing contractions and knowing the difference between the real deal and Braxton Hicks ones, so we would be sure when the time came. She spoke to us about the reality of the process and the stages of labour that I’d go through and covered a lot that wasn’t explained in the prenatal classes that we had with the public health system. After we spoke, I sent her the copy of my birth plan that I had filled out to send to the hospital. She looked over it and made sure that everything was completely understandable in Spanish, and she added some further suggestions that I would never have thought of. All the suggestions that she made were based on what we had spoken to her about, and our choices regarding interventions. I’ve been hoping to take advantage of the hospital’s birthing pool and non-medical techniques to help with pain relief, but I am aware that not every birth goes to plan, so I’m willing to do whatever needs to be done to keep both baby and I safe, while at the same time trusting my body. Do you have any advice on birth plans, or did you get help to prepare for the birth of your little one? Let us know on our Facebook page! Belen from Bel and Mums runs a variety of different courses, including 1:1 informative sessions, antenatal courses, breastfeeding classes, bottle-feeding classes, 1:1 lactation support, 1:1 postpartum support and paediatric first aid courses. 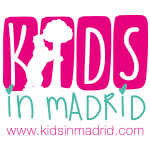 All of her courses can be done in English and in Spanish, and although the classes are held in central Madrid, 1:1 consultations can take place in your home, or online.